Summer physical information for Goshen student-athletes. Bus departure time TBA. GMS track team pictures will be on Friday, March 22nd. The boys basketball team will play in the the Sectional Tournament this Sat at Mason MS. The Warriors will play New Richmond in the 12:30pm game. Pre sale tickets can be purchased in the HS athletic office on Thur from 1-3pm & on Fri from 10am-2:30. The girls bowling team travels to Beavercreek to compete in the DII District Tournament. The boys team travels to Colerain Bowl to compete in the DI Sectional Tournament. Good Luck Warriors!! The boys basketball team will be playing Williamsburg in the SBAAC Bud Phillips Scholarship game on Fri Feb 15. The evening will consist of JV and Varsity games only. JV will start at 6:00pm. 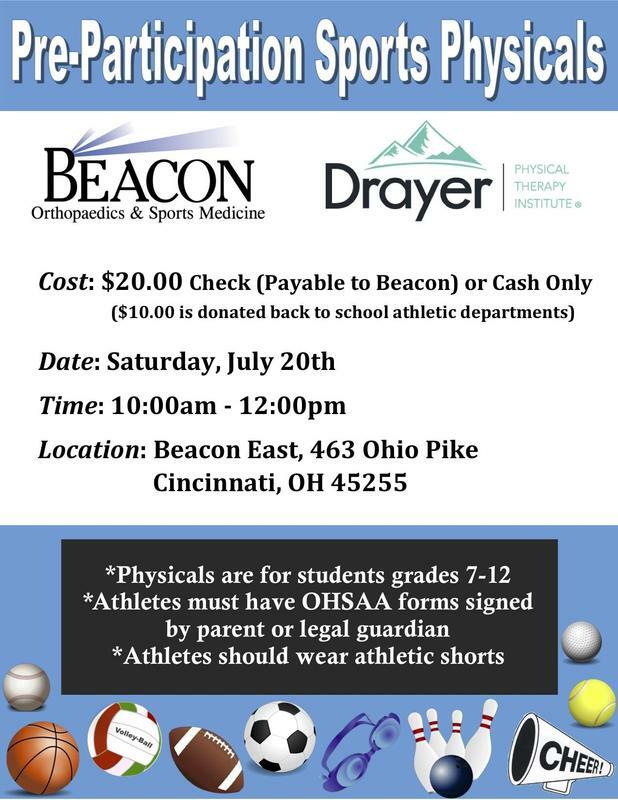 Since this is a fundraiser for the SBAAC scholarships which are distributed each year to league student athletes, we will NOT be accepting any passes (except SBAAC passes). Adult tickets will be $6 and student/Sr. citizens $4.